Child proof caps are a must. Day in, day out, I read articles from all over the world talking about the importance of keeping children safe. I look at the cupboards in my house and everything that is considered harmful to children is sealed beneath some form of childproof cap. Medicines, cleaning supplies, the list is endless and it has been this way for a number of years. We live in a world where the safety of children is paramount yet apparently, according to the media and government officials, the vaping industry needs to be reminded of this on a daily basis. If we are going to have an adult conversation about child safety, lets start by using the correct terminology. 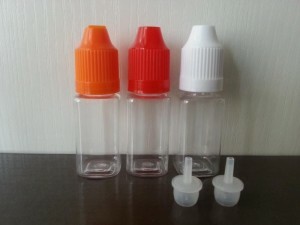 There has never been a call for child proof caps on anything, the actual definition of these products is resistant to opening by small children. If you want to actually child proof something, put it in a high (or locked ) cupboard where it can not be touched by a small child. The misnomer in this case is that the product, if placed in the child’s hand should be inoperable. The truth is that by definition it should be resistant to opening by small hands long enough that an adult is able to notice and remove it from the child’s grasp. You would not leave a bottle of bleach where your 3-year-old can grab it or repackage it in a bottle that gives them easier access. The same should be said for e-liquids. It is the responsibility of the consumer, once away from the manufacturer, to ensure that the child can not access the contents of that bottle. Call me old-fashioned, but common sense tells me I should not be leaving ANY chemicals where my kids or animals can get hold of them. Whether it is e-liquid from a company or your own DIY supplies remember one thing: It can only cause harm if they can mess with it. Every juice manufacturer and vaper that I know also agree’s with them. 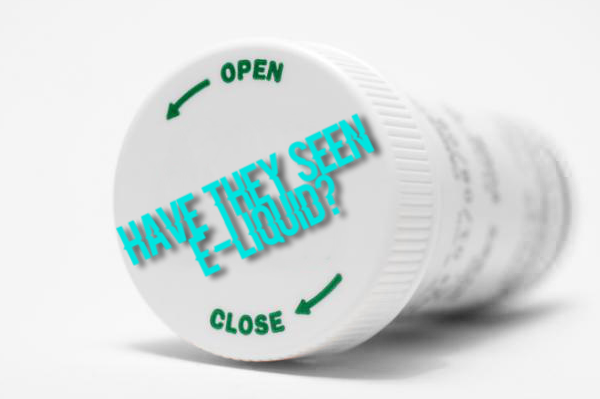 This is why the majority of e-liquid manufacturer’s have been using child proof caps for years. We live in the same world as the people who call our products dangerous to young children and common sense prevailed long before the gavel pounding began. I would go as far as suggesting that over 90% of e-liquid manufactured in the United States is sold in a child resistant bottle. Many companies also take the extra precaution of heat shrinking their packaging to prevent tampering from any outside sources and to make sure that the little ones have a very hard time opening bottles. SFATA (Smoke Free Alternative Trade Association) have been long time advocates for child safety from the industry and as such have pushed for keeping the little ones out of harms way. While we are all aware that the nicotine found in e-liquid is extremely diluted, we have to remember that if enough is ingested it is still a powerful poison. Even though those of us that are involved in the vaping community are aware that our products are child resistant, the media and politicians are like a dog with a bone. We have to remember that we are a small group compared to the general population. The articles they write are not aimed at us. The calls for product safety are in reality a great way to scare non vapers into calls to action. “Vapers don’t care for children, they need to be regulated”, is the lesser known battle cry of those who would love to see vaping disappear. Every time a non vaper reads an article calling for tougher regulation against vapers for which ever reason they hear about today, they fall in line and repeat the cry. Fear is a powerful tool, we all know and understand this perfectly as we are subject to the same knee jerk reactions in our daily lives. The difference is, they use this as a tool to sell subscriptions and pass laws. Even though the vaping movement is not filled with monsters, our enemies will portray us as such to bring the people to heel. As far as I am concerned, the world-wide industry standard should be child proofing our products, without need for external regulation. It is a common sense approach that prevents those who wish to harm our industry from achieving our goal. Our entire industry is centered around harm reduction but they will constantly find ways to demonize us, so yet again they focus in hard on the children. We should in fact be child proofing our industry as a whole, not to keep the young ones safe but to keep meddling hands out of our affairs. Are Anti Vapers Violating Human Rights?